A woman who claims she suffered severe back and other injuries after slipping on grapes while shopping in a Tesco store has brought a High Court action for damages. The action by Patricia Walsh, of Shannondale Stud, Rehy, Carrigaholt, opened this week before Mr Justice Anthony Barr. Ms Walsh (45) has sued Tesco Ireland over the incident in the Tesco store at Kirush, on August 28th 2012. Tesco denies the claims and pleads Ms Walsh’s injuries were her own fault or there was contributory negligence on her part. In evidence, Ms Walsh said the fall occurred while she was in the fruit section of the Kilrush store. Becoming upset, she said her legs shot out from under her, she hit the ground and was unable to get up afterwards. The judge heard she was taken by ambulance to Ennis hospital from where she was moved to Limerick Regional Hospital where she remained for seven days. She said she had severe back pain and was treated with injections. It is claimed she continues to experience serious back pain and has been treated with a spinal stimulator for that. She was on crutches for a time and continues to use a stick. Ms Walsh alleges the injuries have affected her ability to work on the stud farm where she lives with her husband and chidlren and has also affected her ability to resume employment. 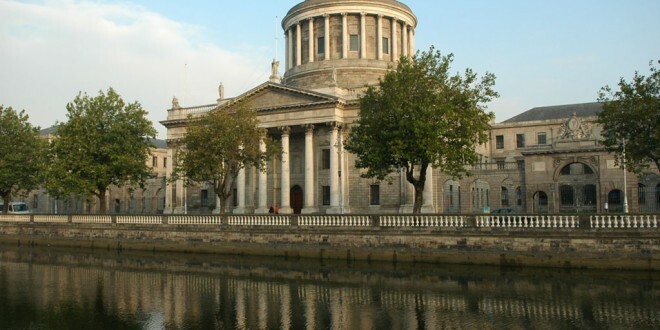 A business studies graduate from Tralee IT, she previously worked in the US for the Unilever and Philip Morris firms before returning to Ireland in 2001 where she worked with Musgrave’s for a time, the court heard. The judge heard Ms Walsh was previously actively involved in sports and had played football with the Clare and Munster teams. She was part of the Munster team that won the Railway Cup on three occasions, she told the judge.